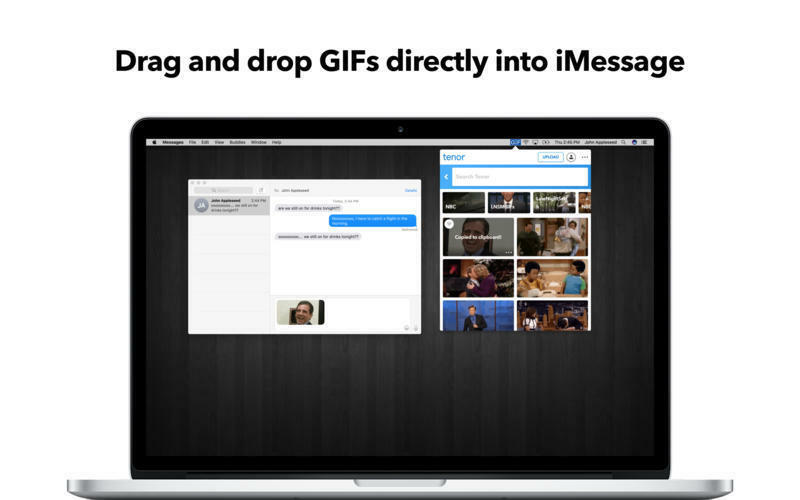 Drag-and-drop GIFs directly into Messages. Is there a better alternative to GIF Keyboard? Is GIF Keyboard really the best app in Internet Utilities category? Will GIF Keyboard work good on macOS 10.13.4? GIF Keyboard is a great way to drag-and-drop GIFs from your menubar directly into Messages, and collect your favorite GIFs from anywhere by dropping GIFs into your menubar. Express just how much you love pizza. Annoy your friends with that one lyric you just can’t stop singing. Tell your crush that cuddling should be in your future. 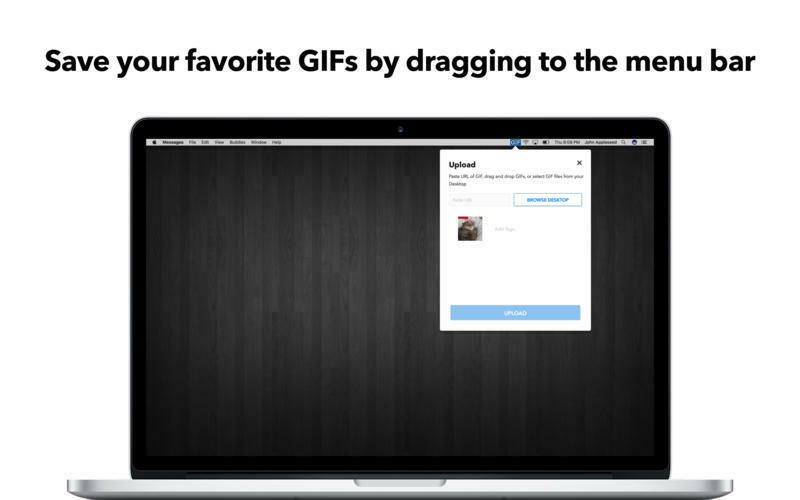 Always send the perfect GIF and video responses to your best friends straight from your menubar! Tenor GIF Keyboard has been optimized -- the app should now run more smoothly than ever. GIF Keyboard needs a rating. Be the first to rate this app and get the discussion started! Browse through categories like reactions, music, trending and more. Search millions of GIFs and videos on Riffsy for the perfect moment. You can also tap the emoji icon in the menu to search by your favorite emoji!